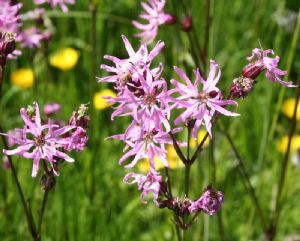 Lychnis flos-cuculi. 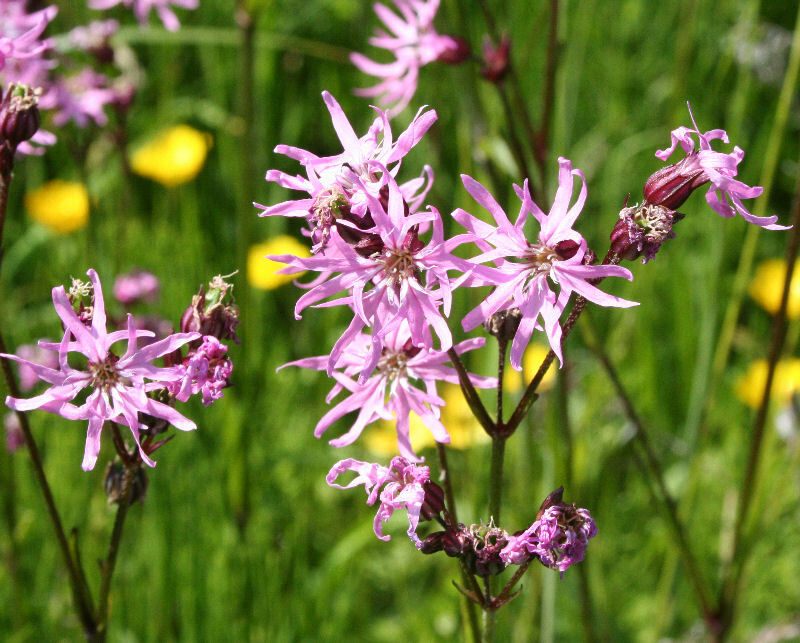 Pretty pink flowers as if cut into ribbons that flutter in the breeze. This is a bog-garden or water-side wild plant that attracts butterflies (especially Skippers) and other beneficial insects in summer. Hardy perennial.